It's not a proper Christmas dinner if you don't finish off with some Christmas pudding at the end! A cute little christmas pudding pattern would look great stitched into a hoop as an ornament or mounted on the front of a christmas card. Measures 40 x 40 stitches it will be approx 3 x 3 inches when stitched on 14 count Aida. You will NOT receive a physical product. This pattern is available for instant download as soon as checkout is completed - no need to wait for it to be emailed! If you would like a completed version of this Cross Stitch or a Cross Stitch kit with threads and Aida please send me a message and I will create a private listing for you. Included in our pattern is a colour pattern chart, floss legends in DMC, and finished picture of the item. These designs are copyright Beki Harrison 2013. You may stitch them yourself and give the finished products as a gift, but you may not share, distribute, re-sell the pattern, or sell the finished product for profit. This is a fun birthday gift for my friend. Easy to follow. Quick and easy pattern. Made it for my son for Valentine's. This is a very fun, easy to follow pattern, and it makes for a relatively quick project. Payment is accepted either through Paypal or via Direct Checkout. All prices include VAT and Taxes. You can use Paypal without having a Paypal account, just a valid credit card. Once payment has been confirmed I will post the item. For custom orders I require payment before the custom order is made. This is so I can purchase materials and set dedicated time aside to make your item! Due to the digital nature of the patterns, refunds are NOT available. If you have an issue with your downloaded file, please message me and I will replace the pattern - with the same item emailed directly to you, instead of a download. Please contact me if you are not satisfied with the received item and we can work out a refund or return. These patterns are copyright Beki Harrison. 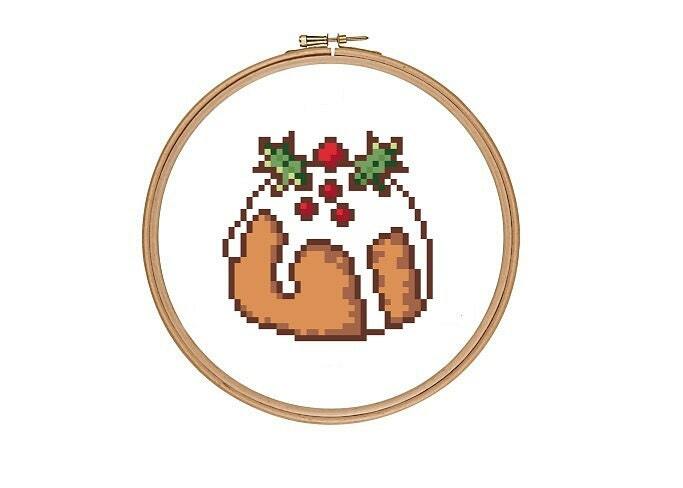 You may stitch them yourself and give the finished products as a gift, but you may not share, distribute, re-sell the pattern, or sell the finished product for profit. All patterns are sent in PDF format. I cannot guarantee that files will open correctly on Tablets, iPads or Smart Phones. Downloading files to these devices is done at your own risk. Interested in having a custom listing made for you? Send me a message and I would be happy to discuss!